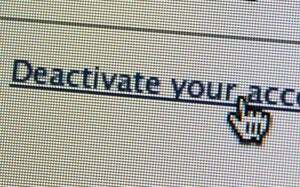 Intuit thinks this puppy will make finance more fun. This puppy chatbot is the most adorable example yet of the promise of fintech. Fintech is a blanket term for financial technologies. Fintech ranges from the payment and banking apps many of us already use, to the AI and machine-learning applications that crunch transactional data for financial companies, to cryptocurrency, blockchain, and other complete re-imaginings of how money works. 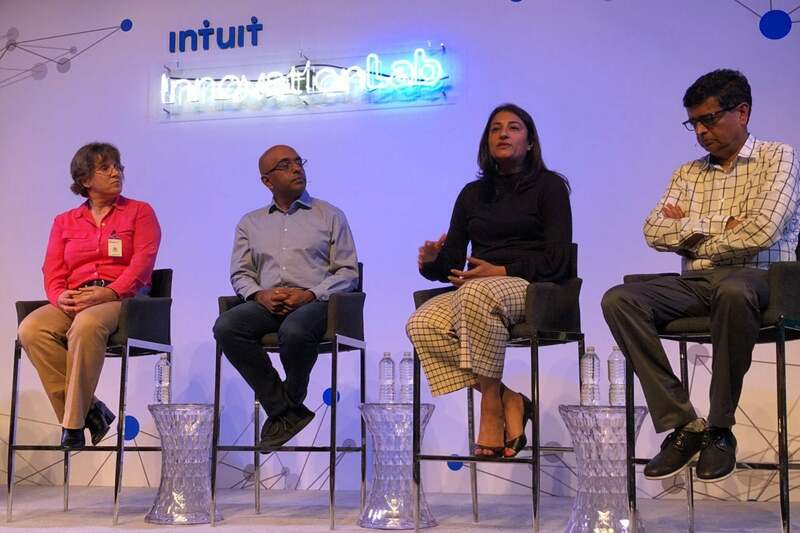 At Intuit’s Innovation Lab Wednesday night in San Francisco, the puppy was one of several experiments shown by the company’s developers that explore how consumers could experience fintech in their daily lives—and maybe have more fun with managing money. 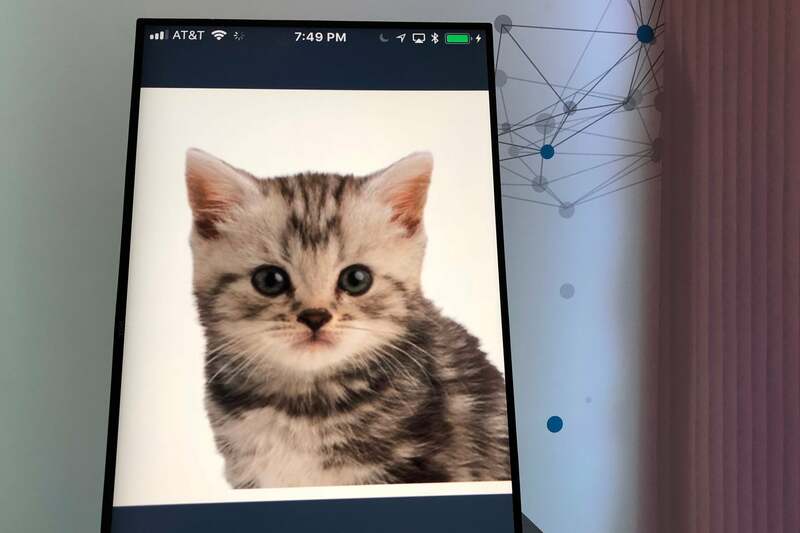 Intuit’s experimental chatbot financial assistant could take on many personas, including this cute kitten. 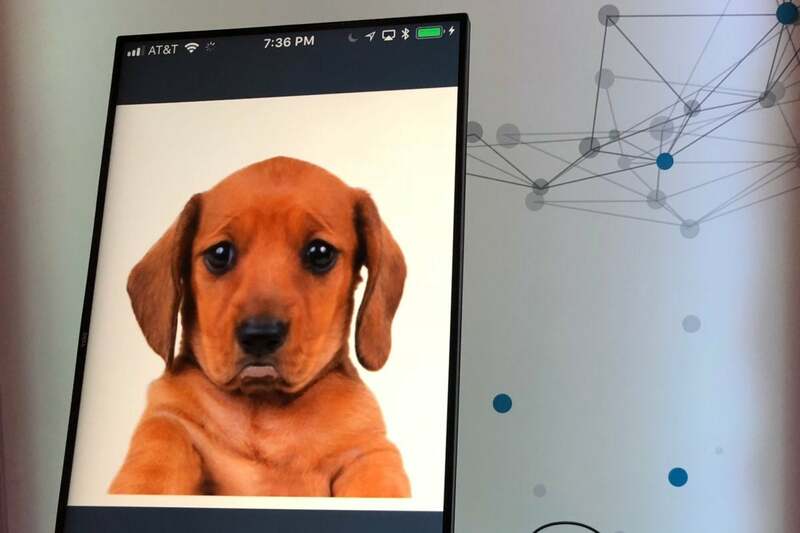 The puppy chatbot, along with a kitten and some human-like characters, are an experiment in what Intuit called empathetic virtual assistants. Designed to present a friendly face for answering your financial questions, these chatbots can converse using natural language and express one of six emotions based on how you seem to be feeling when you call. 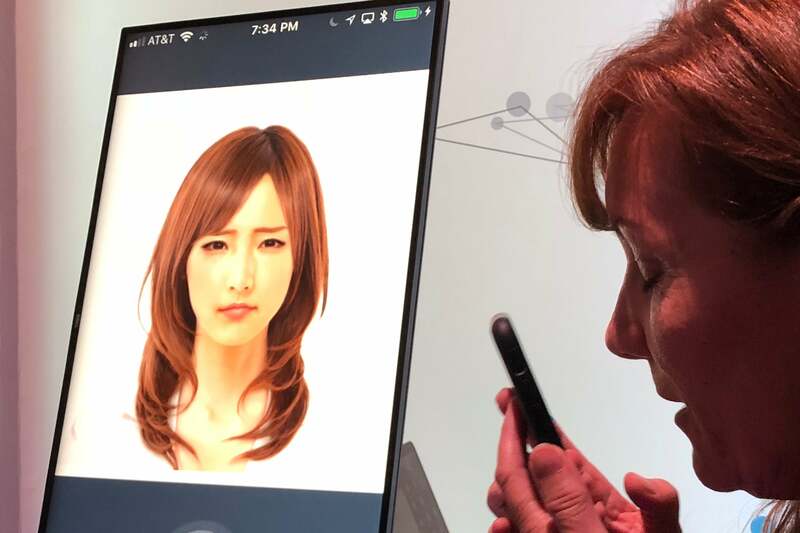 Cindy Osmon of Intuit demonstrated with a chatbot that looked like a young Asian woman. As Cindy asked questions and presented problems, the chatbot’s expression shifted from alert attention to concern to smiling resolution. Cindy Osmon of Intuit converses with a chatbot who’s trained to answer financial questions and express emotions based on what you say. The chatbots' emotions are just mimicry, and they're working with a script. Still, their ability to appear somewhat real could make a customer more likely to discuss their problem and accept suggested solutions. A year into developing this concept, training the chatbot to react appropriately to people’s emotions remains a big challenge, Osmon admitted. “We’re using third-party analysis to determine whether a sentence is sad or happy,” she explained, “but text-to-speech isn’t enough. We’re looking at vocal patterns too.” Even at this early stage, the chatbot’s smiles, frowns and slow eye-blinks clearly engaged and disarmed spectators—and that could be a path to better tech-support calls. Intuit’s Shield app helps people reach financial goals by setting priorities and encouraging responsible behaviors. Friendliness defined another demonstration using an app called Shield. Its job is to inject a little fun into the process of making better financial decisions. 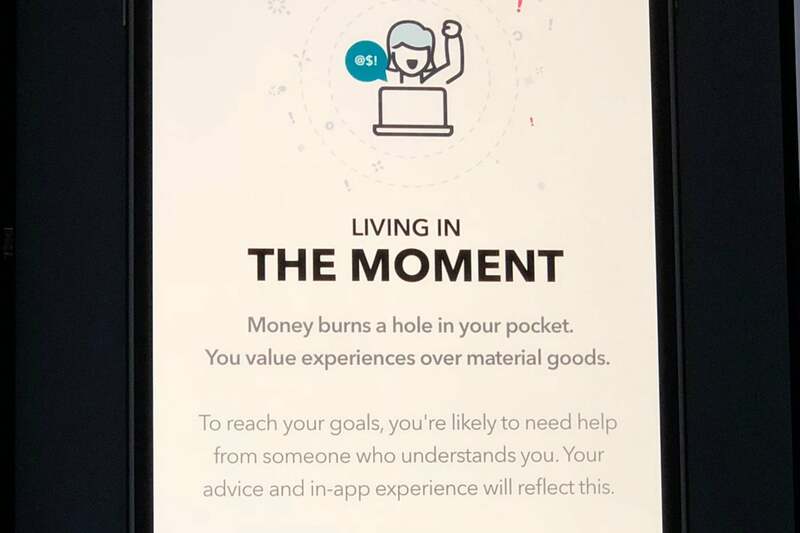 Intuit’s Sumayah Rahman showed how the app uses quizzes to define your spending style and analyze your financial situation. Armed with this information, the app can help you set useful goals, such as building up an emergency fund. 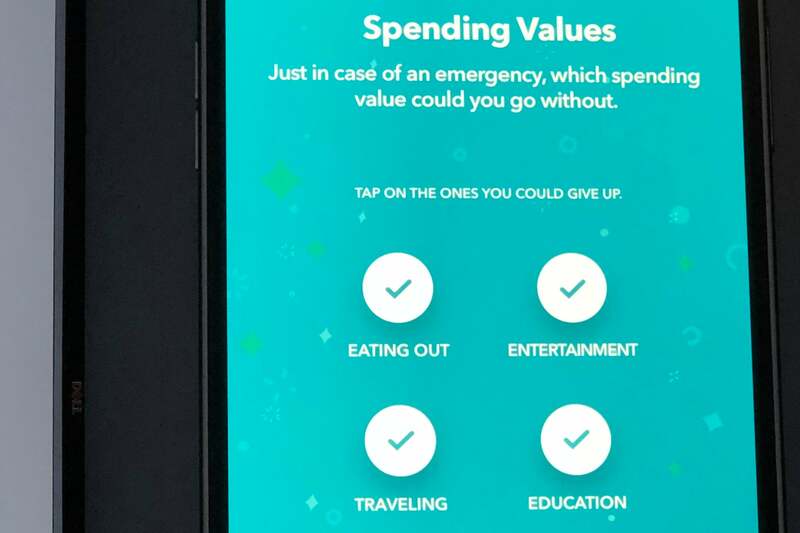 Take a quiz to find out your financial style, and Intuit’s experimental app will adjust its advice accordingly. The fictional demo customer, a young woman named Lily, is an impulsive spender who likes to indulge in social activities and basically has no money saved up. 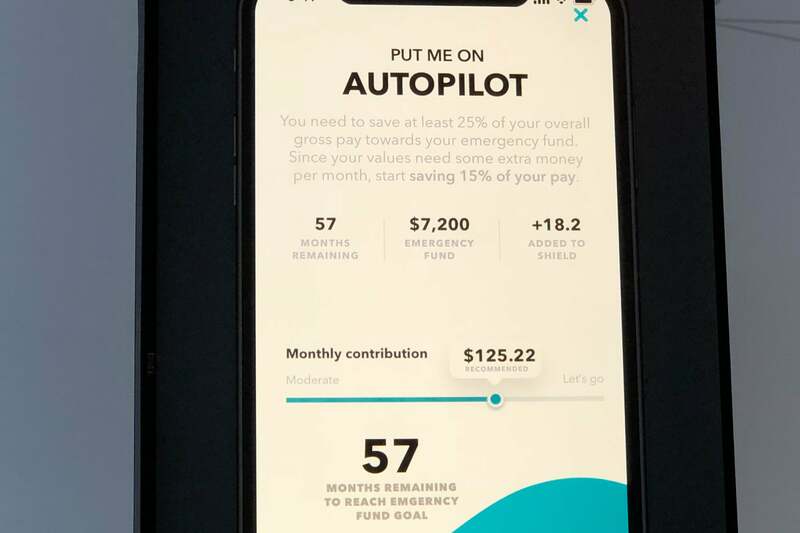 Rahman showed how the app could nudge Lily toward some financial targets and make it easier to meet them by routing money automatically from Lily’s paycheck into a savings account. Intuit’s Shield app can be used to reach financial goals through automated actions and simple encouragement. What the app and chatbot experiments have in common is the personal touch. Intuit’s goal is to use AI and machine learning to tailor its financial planning and management services to the individual and bolster customer engagement. The more comfortable someone feels using a product, the more they’ll use it, Intuit hopes. This greater comfort could lead to better financial behavior, and it could also create opportunities for Intuit to sell people loans and other financial products, naturally. The Intuit Innovation Lab panel discussion included (left to right) Nan Boden of Google; Ashok Srivastava of Intuit; Swati Bhatia of PayPal; and Bharath Kadaba of Intuit. Ben Lorica of O’Reilly Media moderated the panel. It’s interesting how “trust” in financial services used to be expressed by images of stability, such as rocks and large animals and imposing buildings. In the new age of fintech, it’s puppies and kittens and friendly apps, reaching out to customers in a way that’s much more warm and fuzzy.